Is time for a new hot water heater, and you’re worried about the cost? Perhaps you don’t know how to begin searching for a new one? A tankless water heater could be the solution you need. Unlimited supply of hot water. A traditional water heater tank has to fill up then heat water. A tankless water heater warms water immediately and directly through the flow. You don’t have to cut your showers short or worry about more than one shower running at the same time. Saves Space. A tankless water heater is an efficient solution when you don’t have much room. It can fit neatly on a wall, or in a closet. Money Saving. Tankless water heaters require much less maintenance over its lifespan. They save energy costs by heating water as needed, compared to a tank heating water continuously. Your tankless water heater will show signs that it needs to be replaced. Symptoms of a broken tankless water heater include loud or unusual noises, and long water heating times. If your tankless water heater needs fixing, give us a call. Our licensed professionals can give a free, no-obligation inspection. 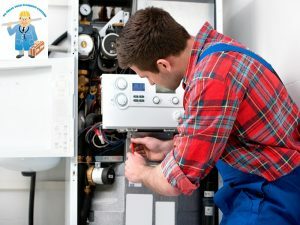 We offer a professional consultation of your water heating situation before applying any solution. You’ll receive an explanation of the problem, and learn what should be done and what your options are. We’ll explain the demands that your household places on your water heater. Our discussion with you will cover what size and type of units are recommended. Our customers love us, and our work is the best quality. Stop by our testimonials page, then give us a call for a free, no-obligation quote for water heater repair in Ottawa.